First Night at Palacio de Sal Hotel or Hotel de Sal Tayka or Cristal Samana Hotel or Luna Salada Hotel: Guestrooms feature private bathroom, Hot water, heating and Wi Fi Internet. 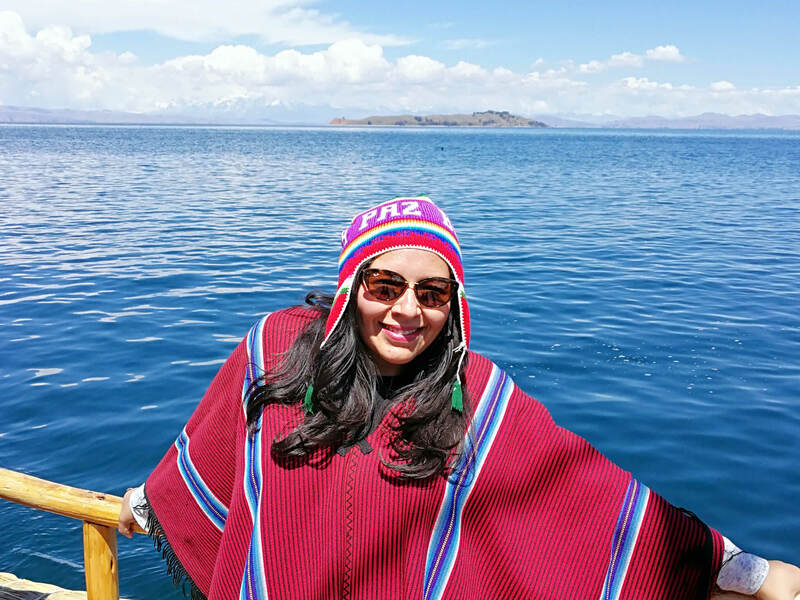 1 night accommodation in the Uyuni town and airport transfer in the case that you decide to stay one extra night in Uyuni and travel back to La Paz the day after the tour ends. Due to weather or road conditions the itinerary might vary without prior notice to ensure traveler safety. 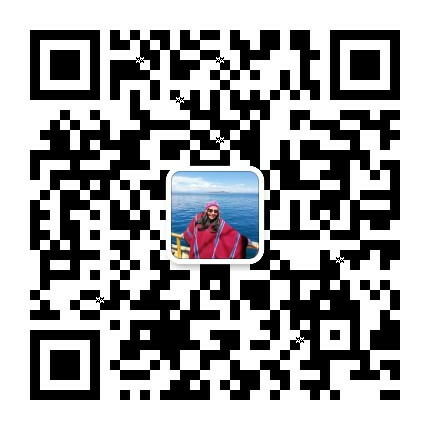 Please take the previous detailed itinerary only as a reference. For this tour, we have assembled the best travel arrangements for your trip of a lifetime. 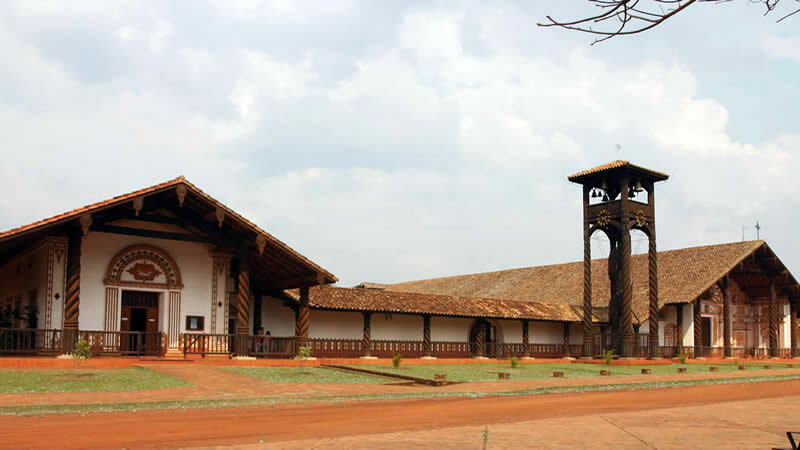 Transportation, accommodation and tour guide services have been carefully planned to provide maximum comfort and safety. 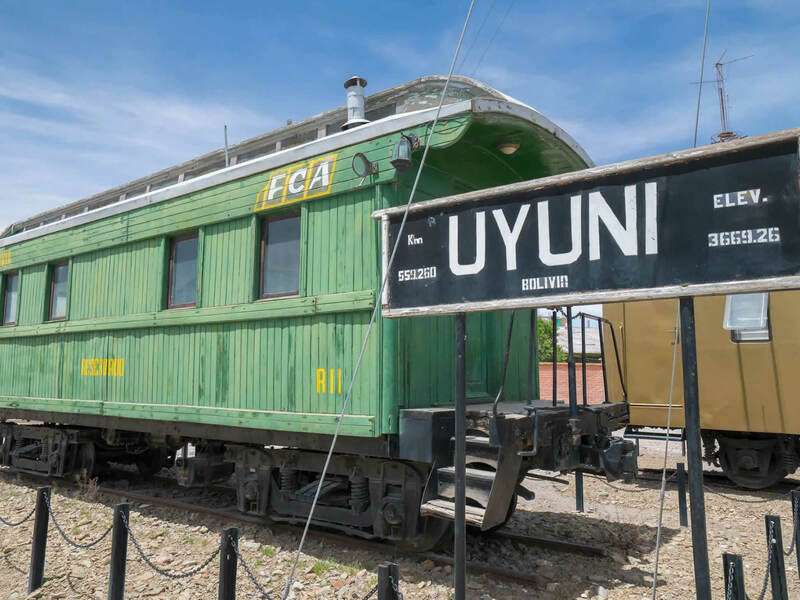 The tour offers the possibility to travel to Uyuni by plane, bus or train. 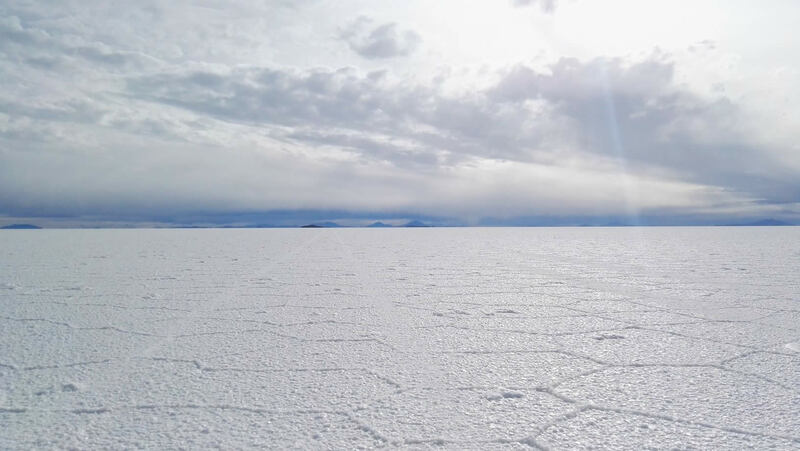 You pick up the transportation way and we organize all the logistics to get you to Uyuni in time for your tour. Our service includes all transfers from your Hotel to the Airport or Bus Station in La Paz city. 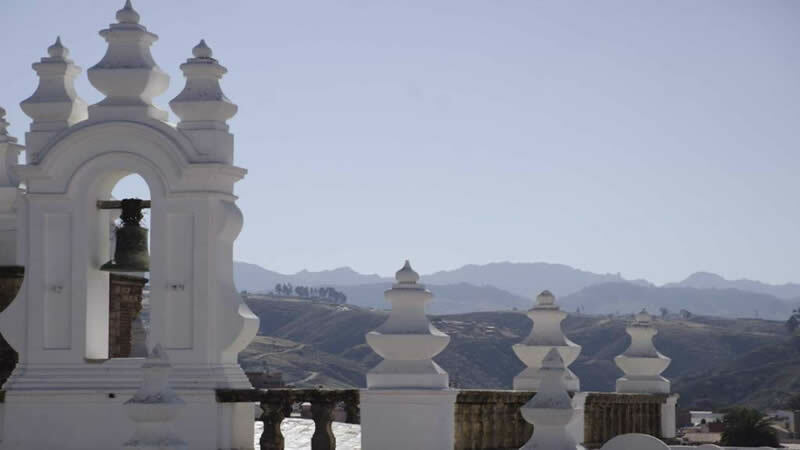 In order to guarantee the safety of our clients traveling by train; we arrange the transfers in La Paz and Oruro cities. 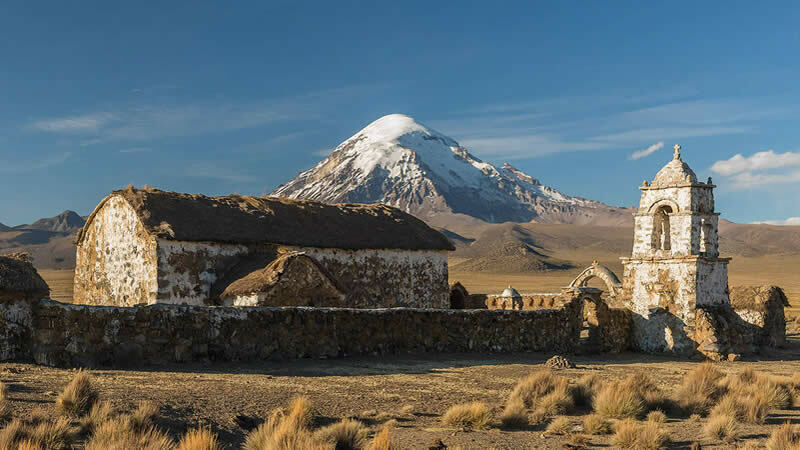 We booked in advanced their Bus tickets from La Paz to Oruro and make one of our agents wait for them at Oruro Bus Station to transport them immediately to the train station. 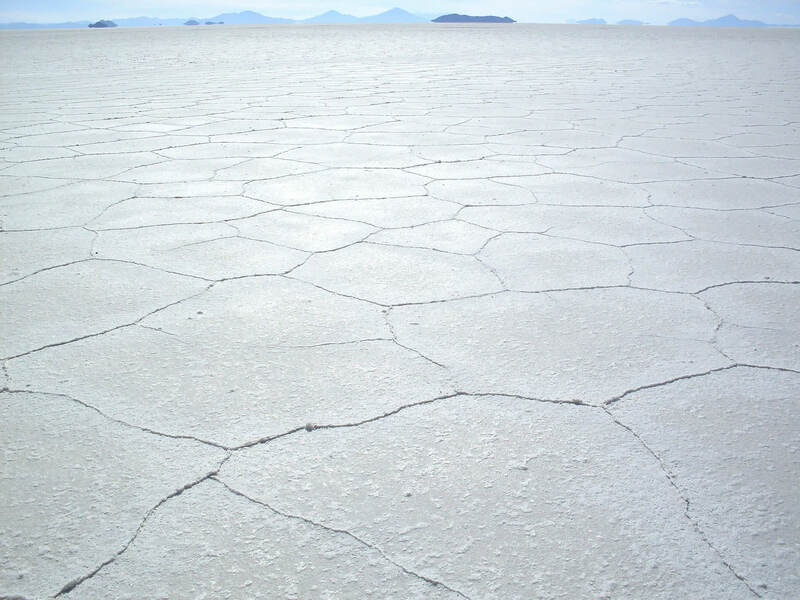 Experience the Uyuni Salt Flat in a tour that takes you away from civilization. 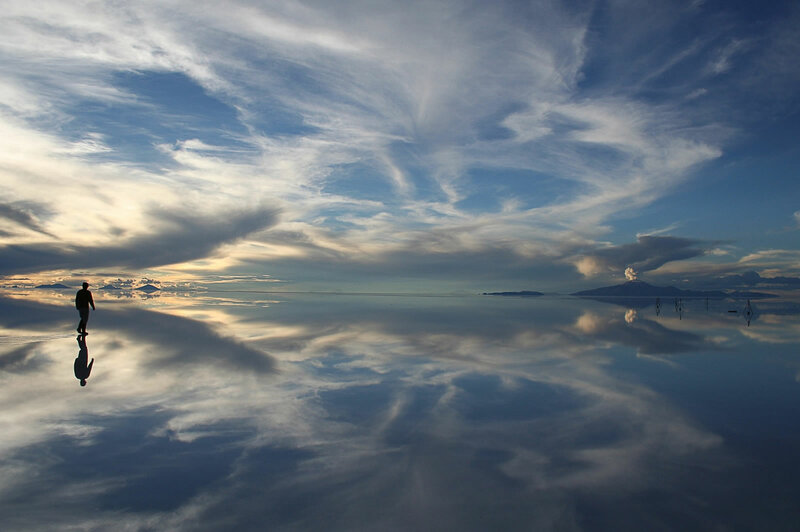 Our aim is to show you the hidden gems of Uyuni's stunning natural beauty. 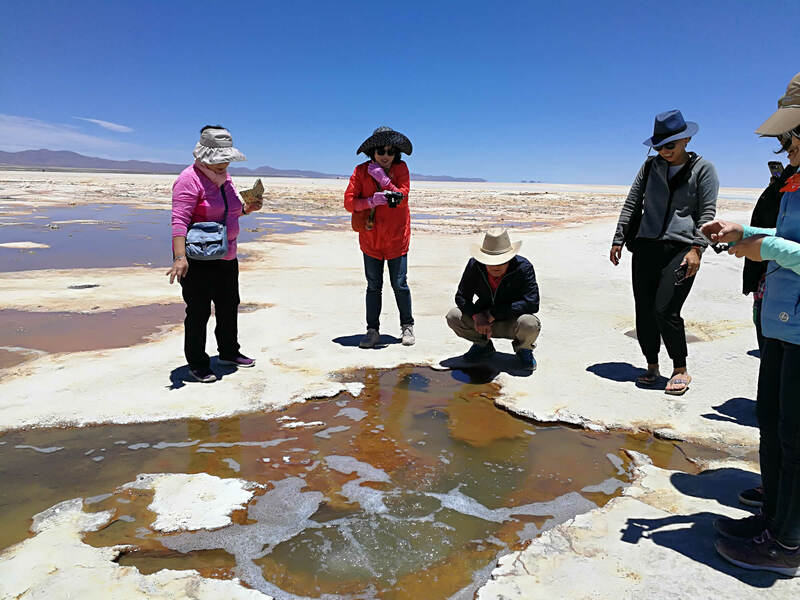 During this 3 day tour you will cover the most important tourist spots of the Uyuni area from North to South. 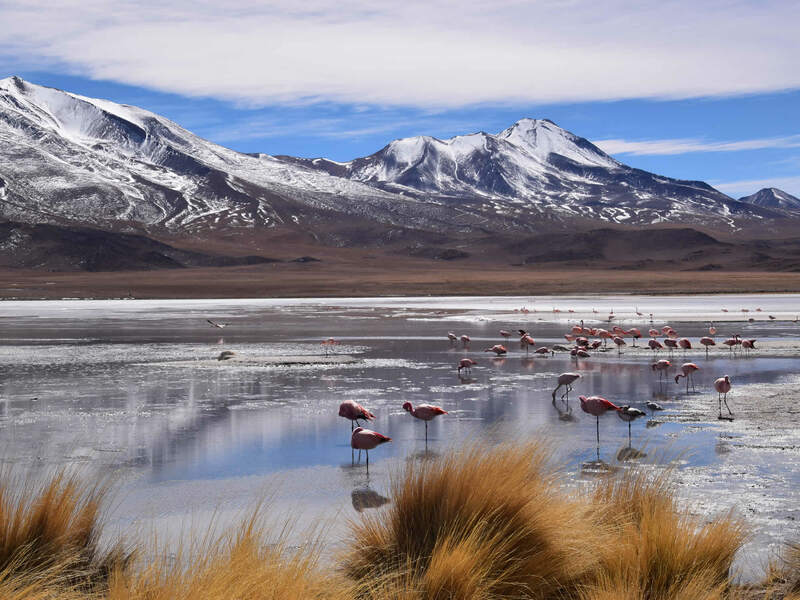 Discover: Uyuni Salt Flat, Incahuasi Island, Colorada Lagoon / Red Lagoon, Laguna Verde / Green Lagoon, Licancabur Volcano, Laguna Blanca/White Lagoon, Polques hot springs and more. 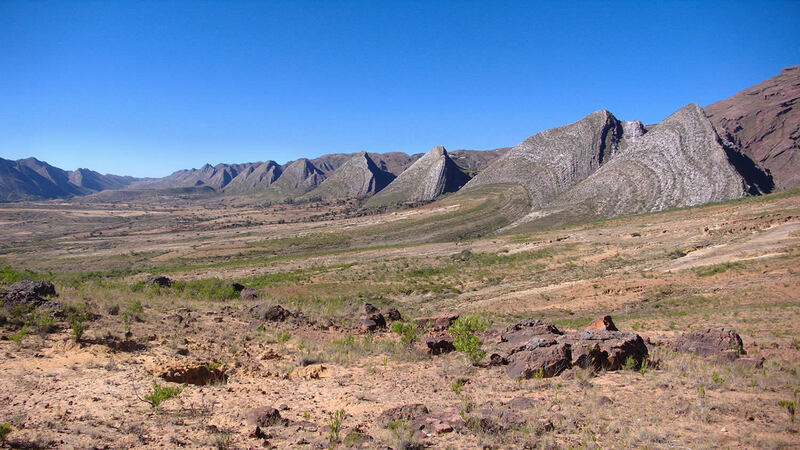 In order to take the tour, you will have to travel toPotosi department in southwest Bolivia. 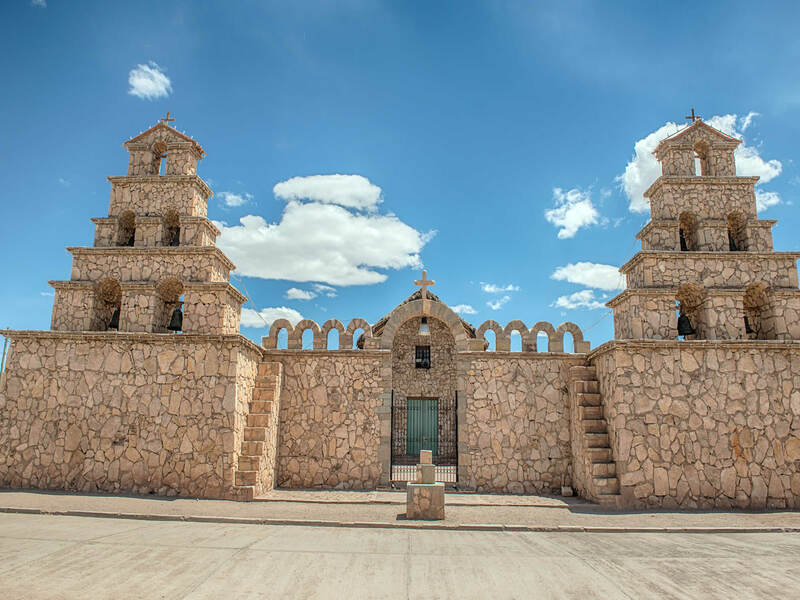 Uyuni Town is located in Potosi department and it is the gate of the famous Uyuni Salt Flat. 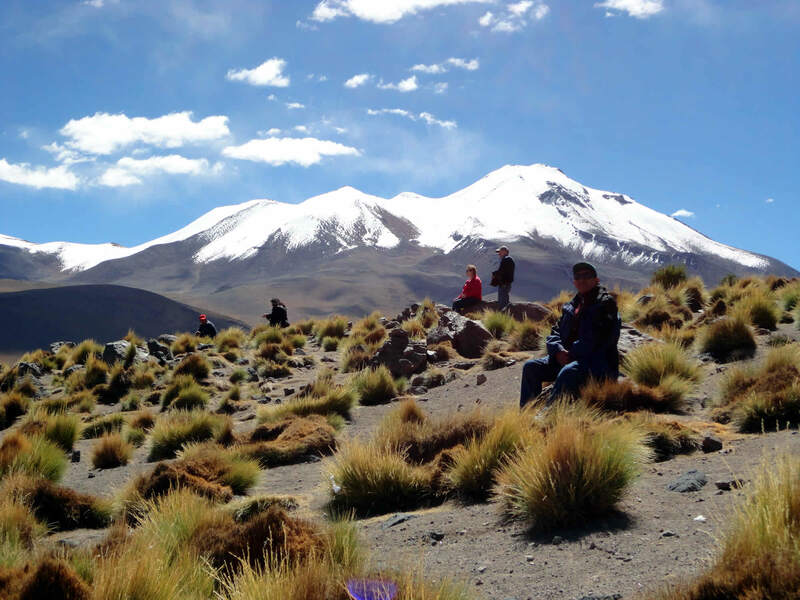 We can include in the tour package flight tickets from La Paz to Uyuni. The travel time is 45 minutes. We recommend you to take an early morning flight to Uyuni at this way we can start the tour the same day of your arrival in Uyuni. 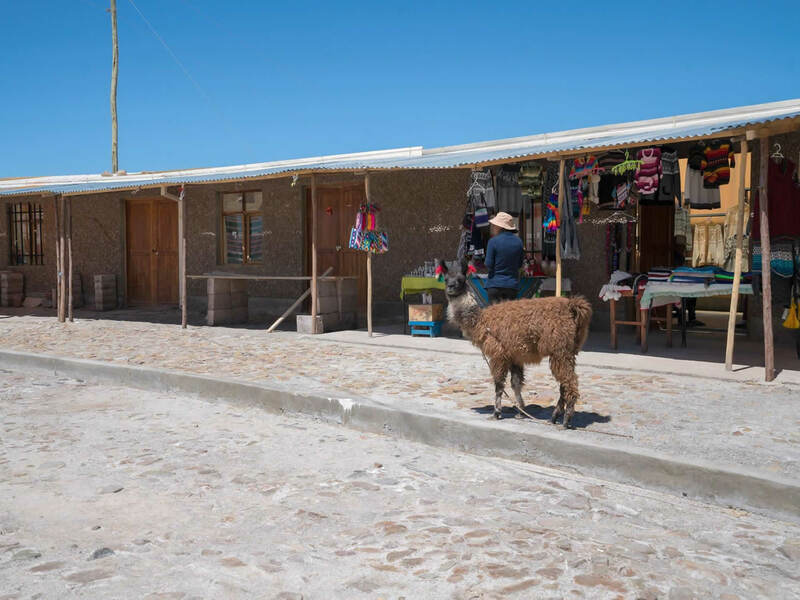 The tour starts by picking you up from the Uyuni Bus Station or Uyuni Airport. 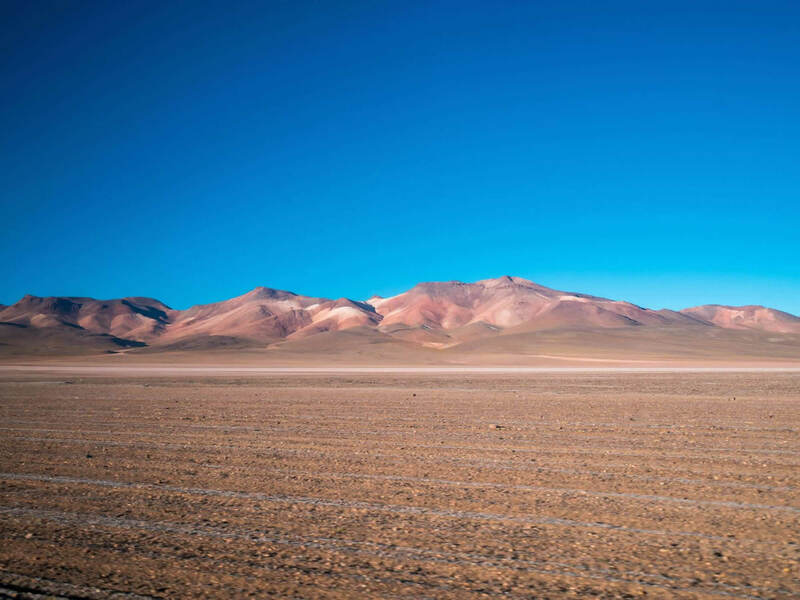 If you arrive early in the morning by bus or by plane, we will pick you up from the Uyuni Airport or the Bus company office that transported you to Uyuni. 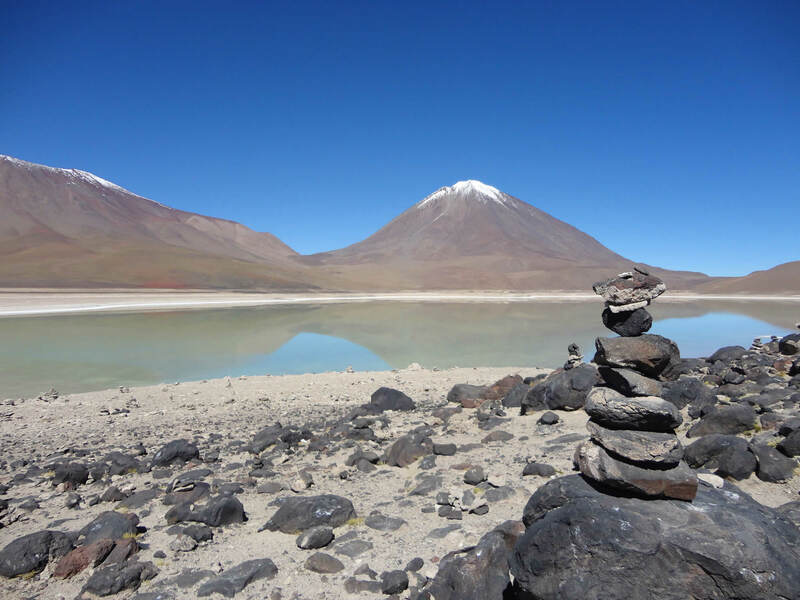 We will then take you to our office in Uyuni where you can leave your luggage and have some free time before starting your tour. The Private tour begins at 10:30 a.m. 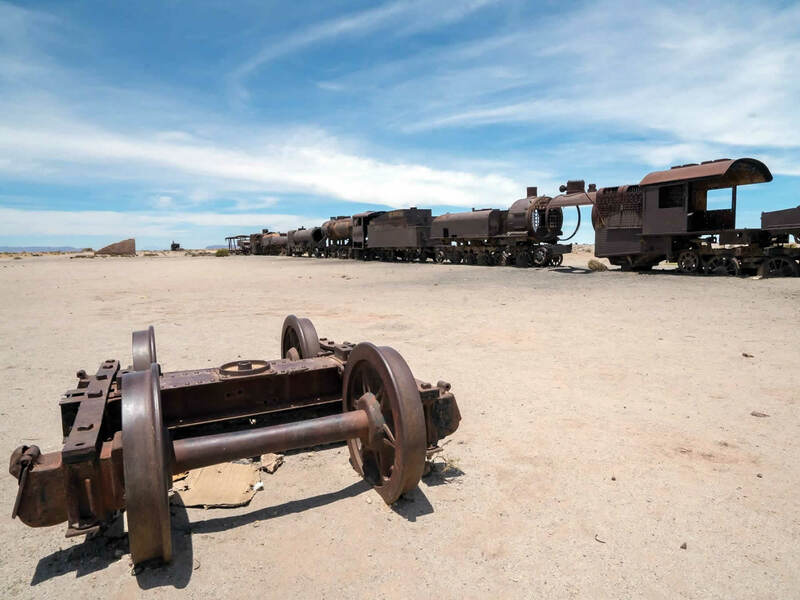 The first stop is the Train Cemetery, located about 3kms. from the town of Uyuni. These trains were purchased during the administration of President Aniceto Arce, a great visionary of the mining industry. 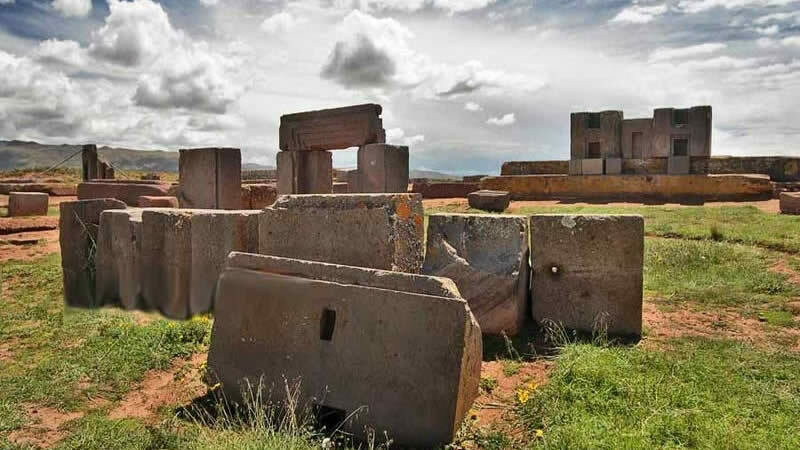 Unfortunately the exportation of minerals from Bolivia to Europe failed due to the resistance of the natives who did not want their lands invaded. Accommodation of choice. We can offer you accommodation in a basic hotel in Atullcha with double and triple rooms with private bathroom, hot water showers located outside the room and no heating. 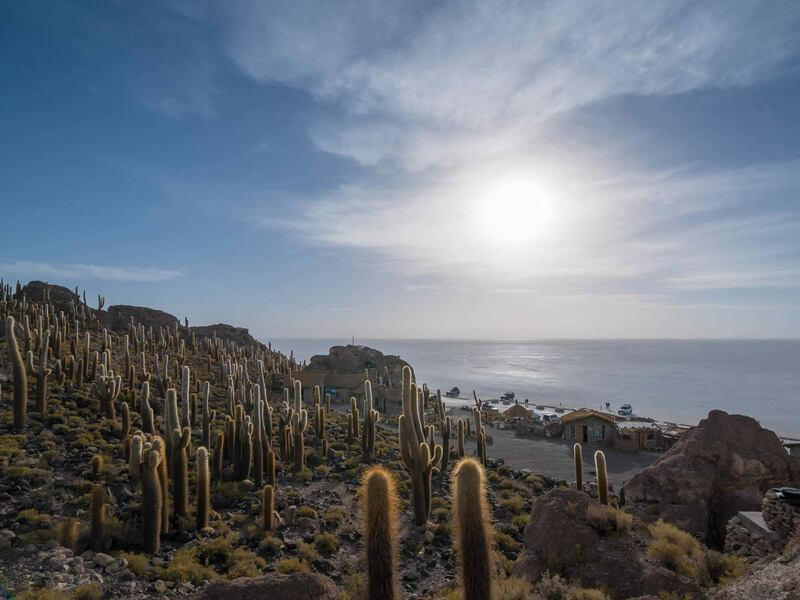 We can also provide you accommodation in one of the iconic Salt Hotels: Hotel Luna Salada, Hotel Palacio de Sal, Hotel Cristal Samaña, Hotel de Sal Tayka. The selected accommodation will depend on your budget and preferences. Dinner will be served at the hotel in Atullcha if it is the one you choose. If you decide to stay at one of the Salt Hotels, you can order dinner at the restaurant of the selected hotel. 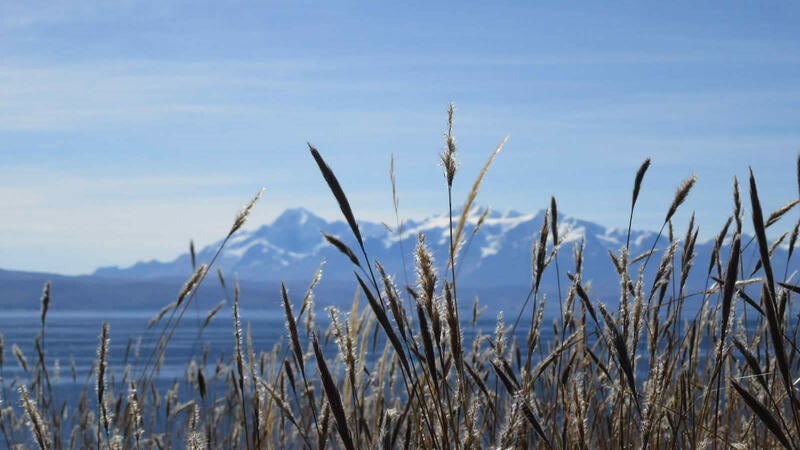 After lunch we will take you to visit the minor Lagoons Cañapa, Hedionda and Honda. 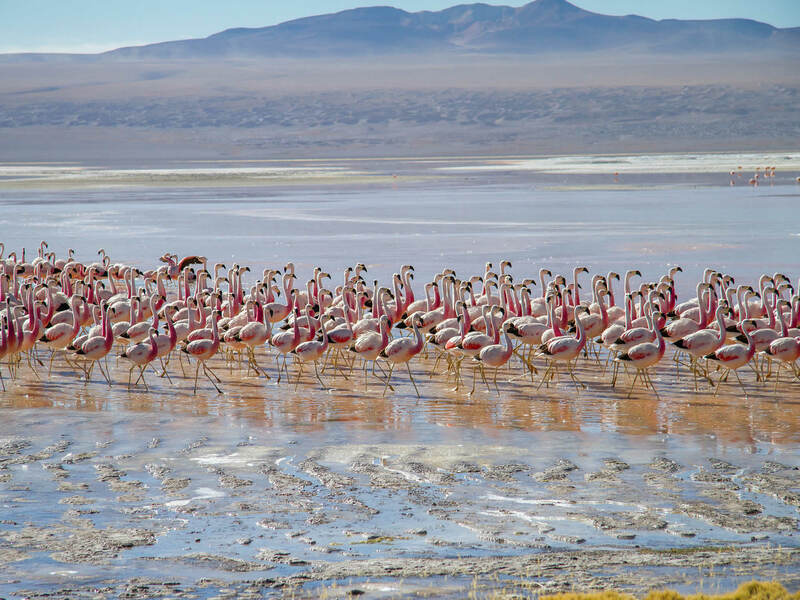 All of them feature pink flamingo populations that share the habitat with other Andean birds. 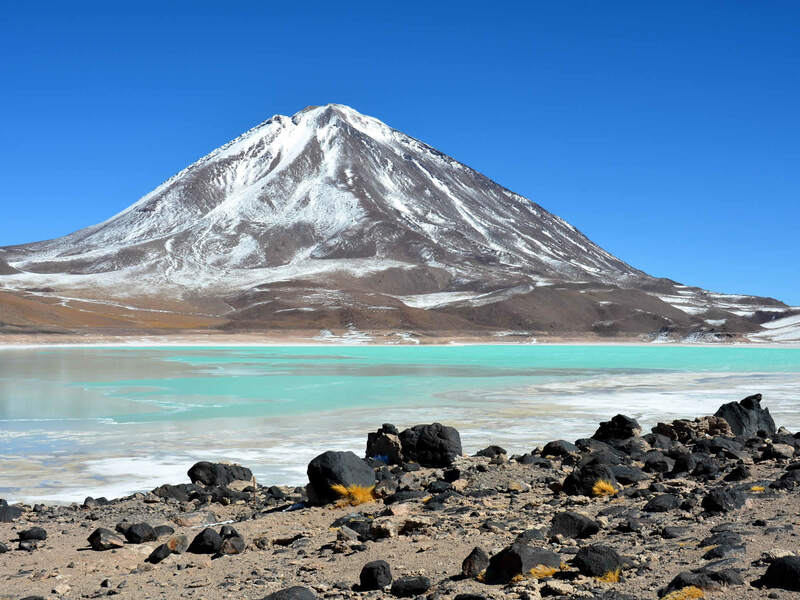 Traveling south we will find the Siloli desert located at 4550 m.a.s.l. 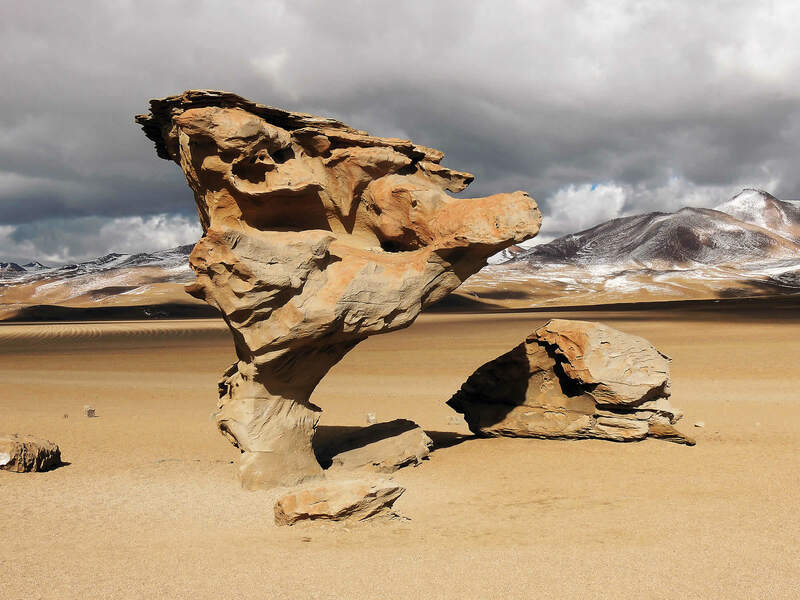 (highest and driest in the world) where the famous Stone tree / Arbol de Piedra is located. This rock is unique because it resembles a tree. Before ending this day we will pass through the viscachas canyon where you will have a wonderful time watching this cute animals. The viscachas that live in this canyon love the tourist and are always in good mood for pictures. We can offer you a basic lodge in the Huayllajara shelter where we will provide you a room with shared bathroom and no hot water showers/heating or you can stay overnight at the Hotel del Desierto Tayka. The Hotel features double, triple and quadruple rooms with private bathroom, hot water and heating. The electricity, heating and hot water are available until 21:00 hrs. At this point of the tour you are in an isolated spot and the Hotel provides electricity with its own generators and hot water with solar heaters. Dinner will be served in the Huayllajara shelter if it is the one you choose. If you decide to stay at Hotel del Desierto Tayka, you can order dinner at the Hotel restaurant. 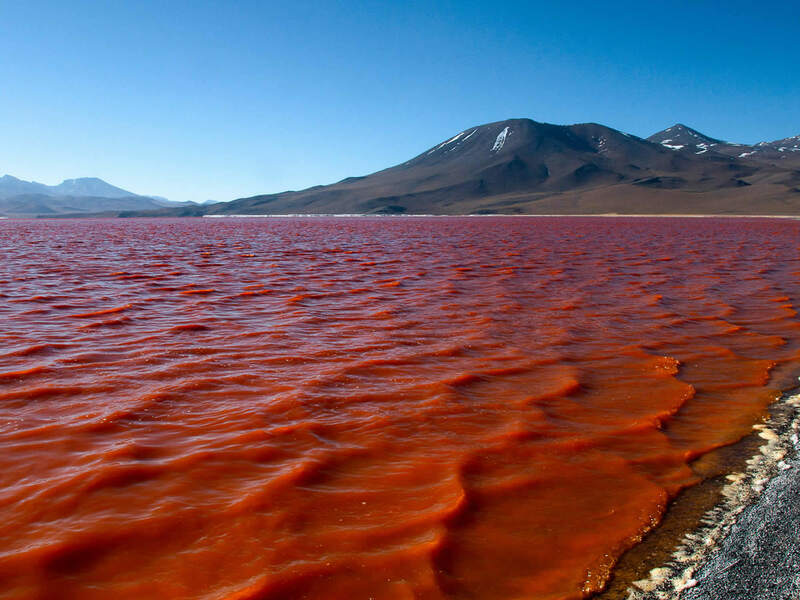 We will take you to visit the Colorada Lagoon. 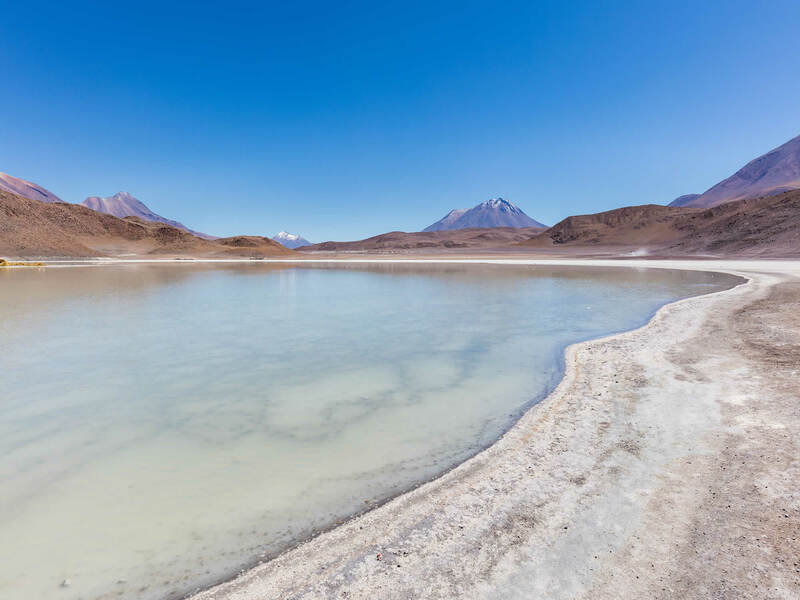 This stunning Lagoon contains borax islands, whose white color contrasts with the reddish color of its waters, which is caused by red sediments and pigmentation of some algae. James's pink flamingos abound in the area. 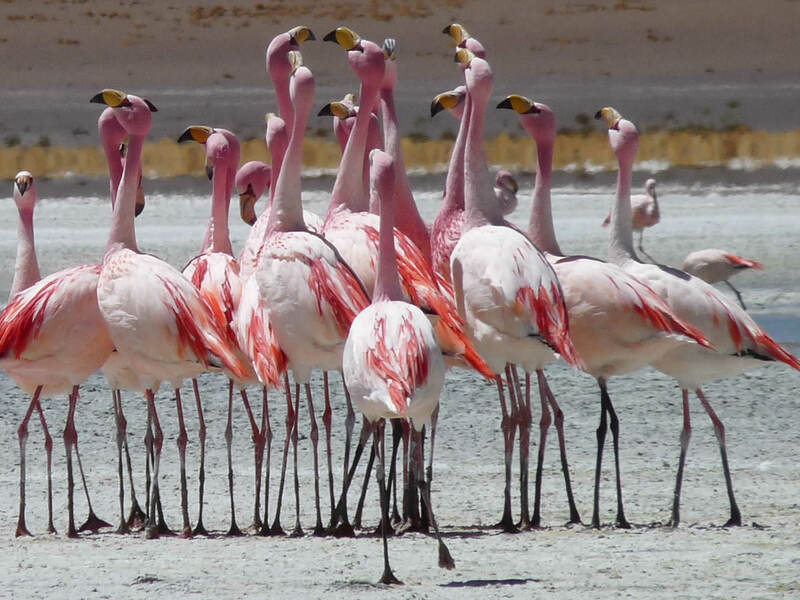 Also, it is possible to find Andean and Chilean flamingos, but in a smaller quantity. 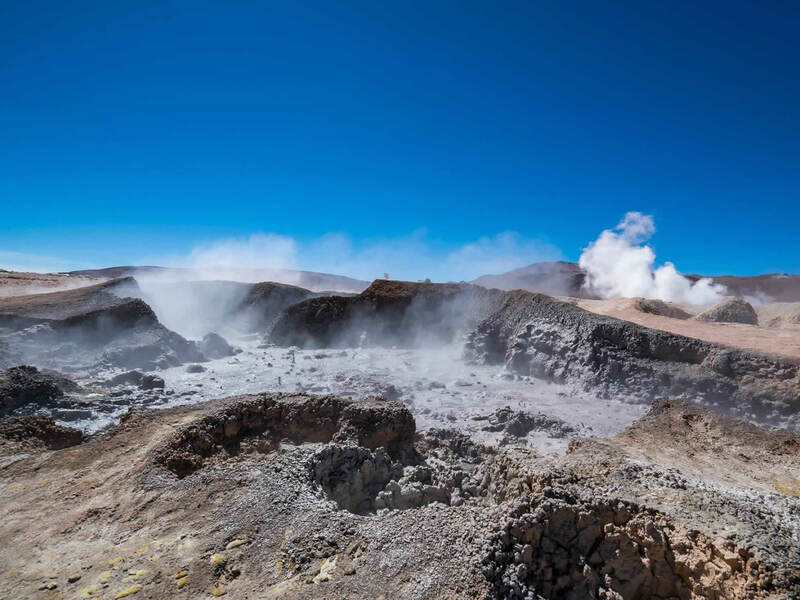 You will continue your trip taking to Sol de Mañana: a volcanic zone where you can see geysers. This endless supply of water is spitted out of the ground at a temperature of 90 C, through fumaroles and cracks through which sometimes even volcanic lava erupts. 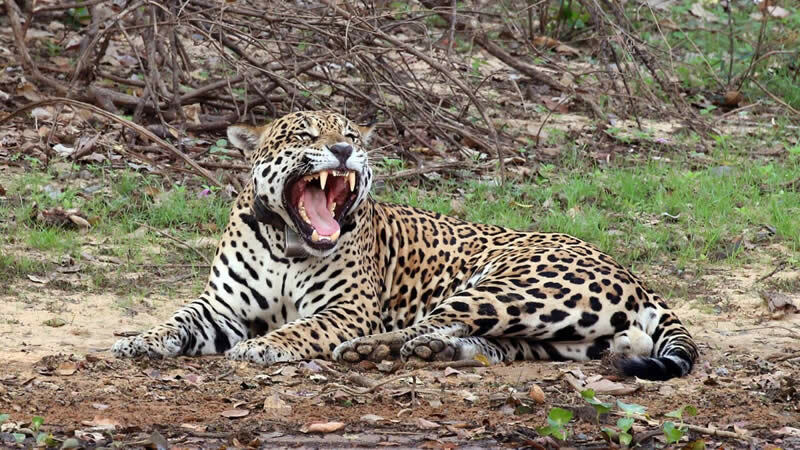 It is recommended for everyone's personal safety to observe this from a distance, mostly because of the sensitivity and lack of stability of the ground. Lunch. The lunch includes a main course, dessert and drinks (sodas, water). Vegetarian menu is available at no extra charge. The lunch this day will be simpler than the other days. At this point of the tour you are far away from everything so your driver will prepare the lunch for you. 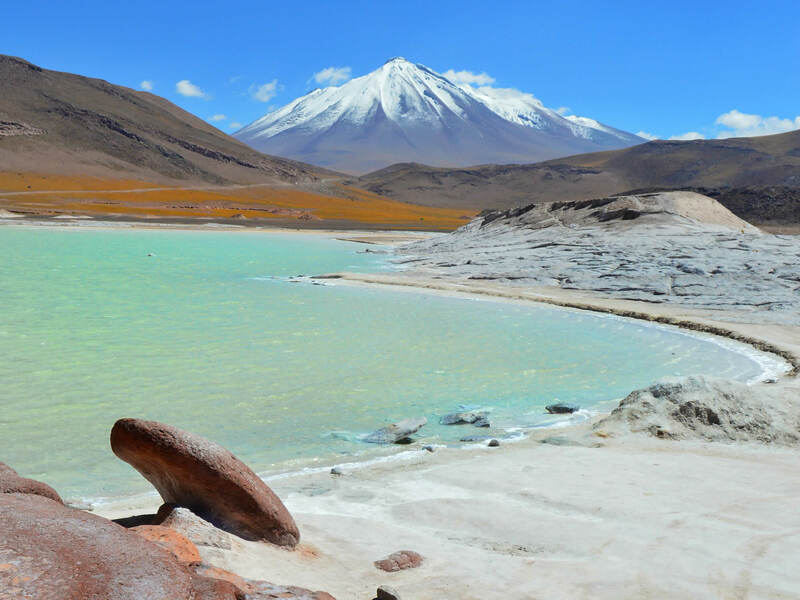 The next stop is the Salvador Dali desert and the Laguna Verde / Green Lagoon located at the feet of the Licancabur Volcano (5,868 m.a.s.l.). The intensity of the green color of this Lagoon depends on the wind in the area. 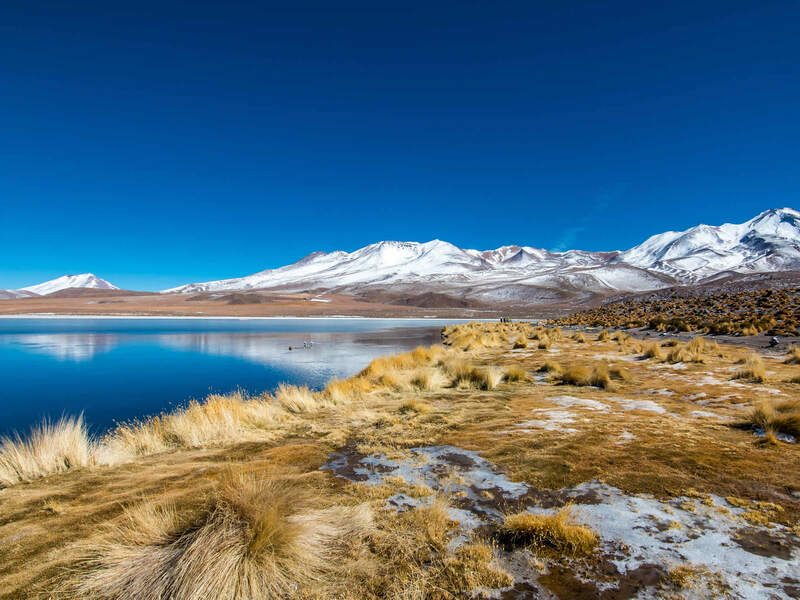 If there is no wind, then you will enjoy a clear reflection of the Licancabur Volcano in the Lagoon. 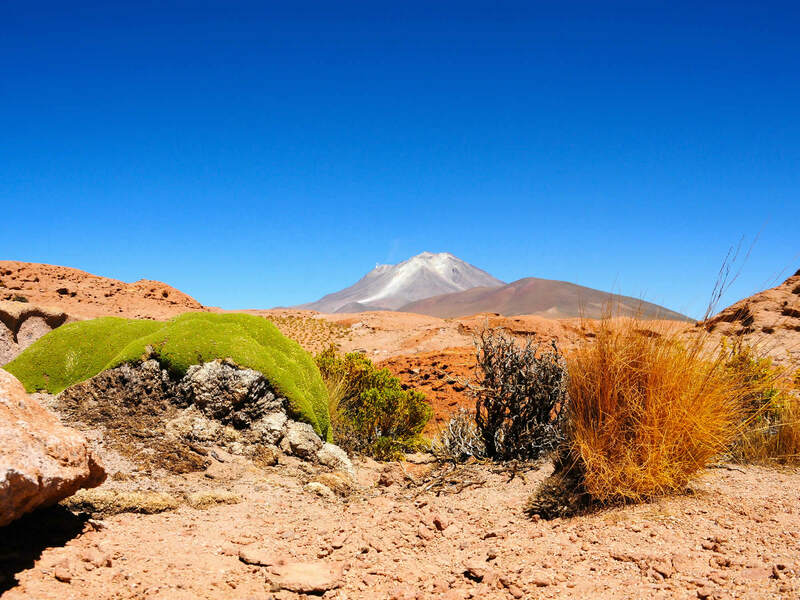 The Licancabur Volcano is the landmark that indicates the border line between Chile and Bolivia. 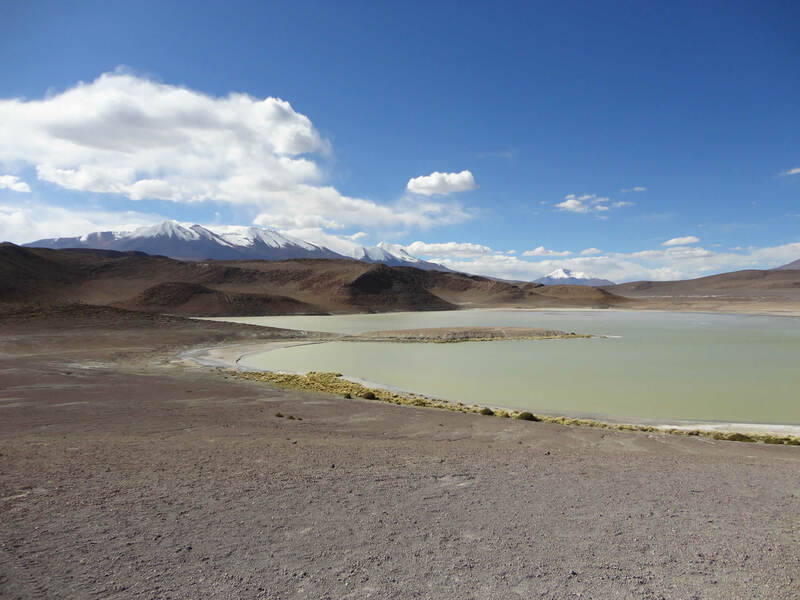 On the way back to Uyuni you will be passing by the Laguna Negra and Quetena Chico town. 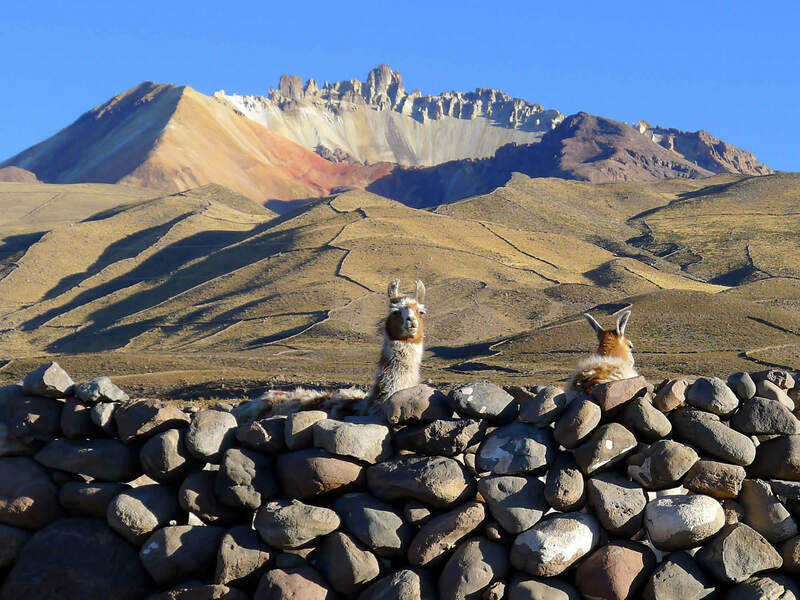 During this part of the trip you will see a lot of llamas and vicuñas. You can travel back to La Paz city by bus. 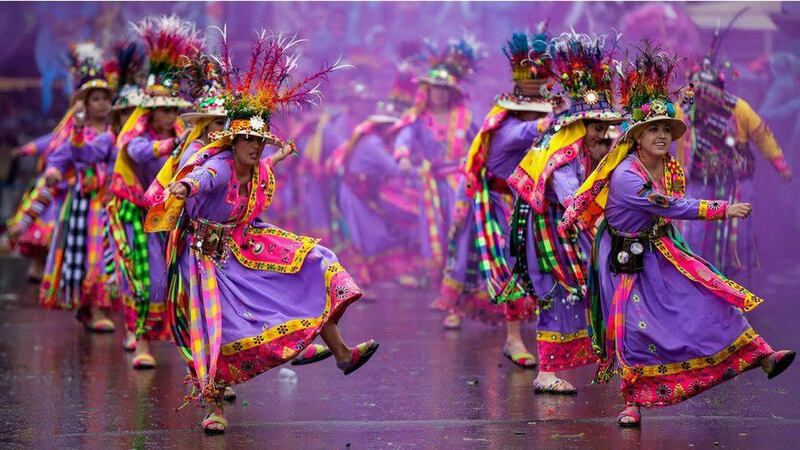 We can include the bus tickets Uyuni - La Paz in your tour package. 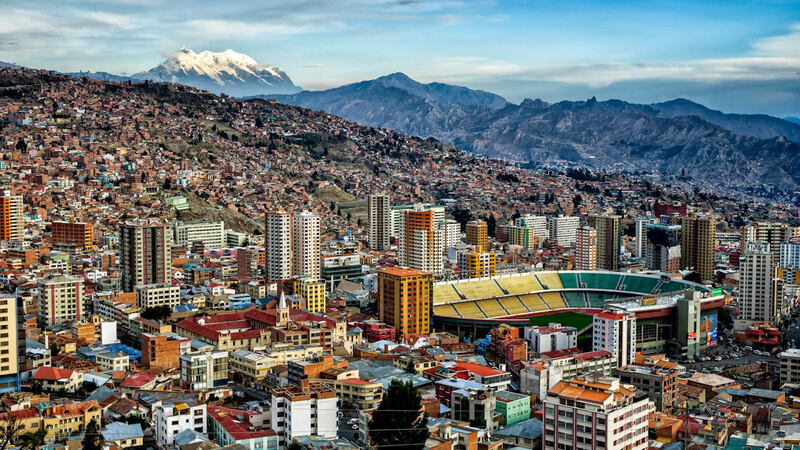 The bus departs at 20:00 hrs and arrives in the La Paz city by 06:30. The bus features semi bed seats, bathroom and heating. Dinner and breakfast on board are included during the trip. If you choose to travel by bus to La Paz, we will end the tour by dropping you at the Uyuni Bus station. 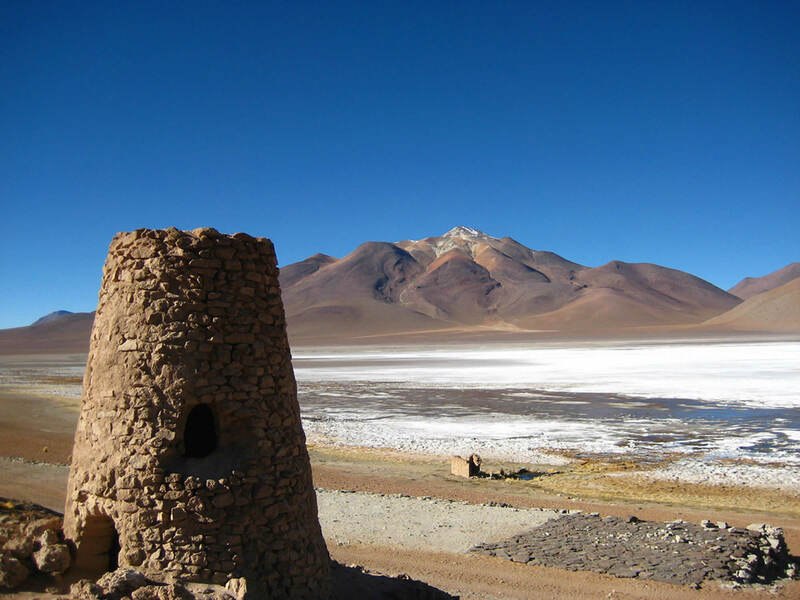 We can also include in the tour package the flight tickets Uyuni - La Paz. 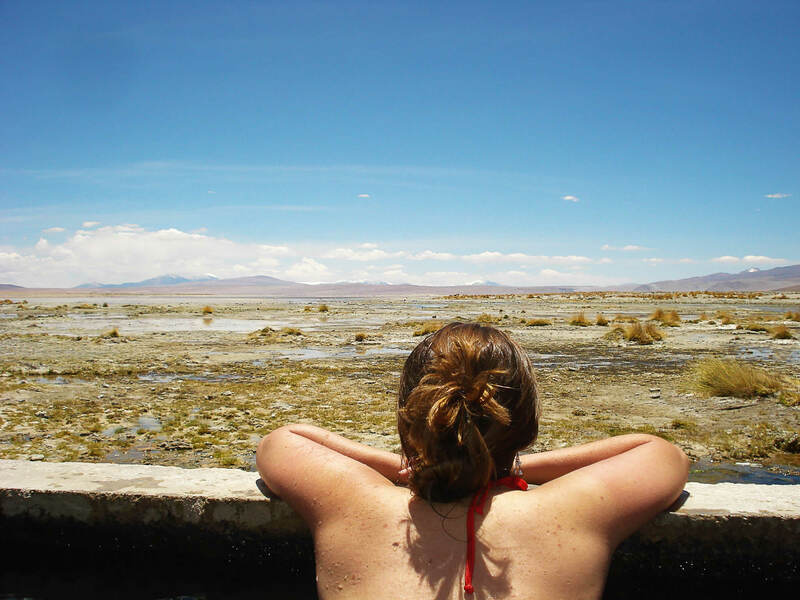 You will have the option of returning to the La Paz city as soon as you end your tour in Uyuni. There is a flight at 20:30 hrs going back to La Paz. 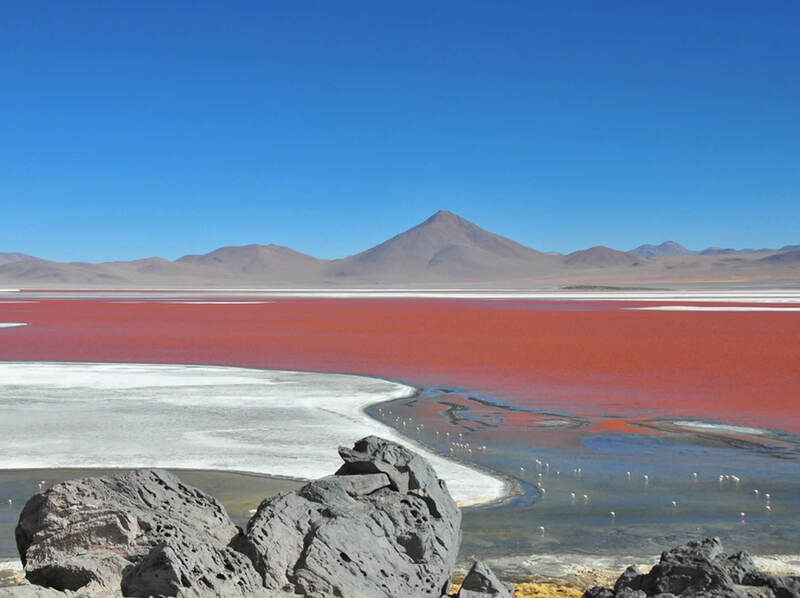 If you are too tired to continue the trip, you can travel from Uyuni to La Paz the day after the tour. 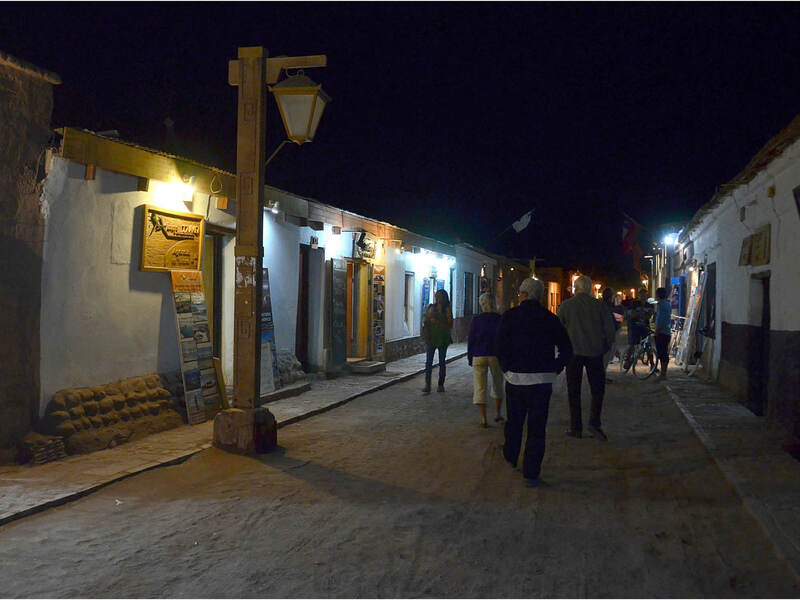 We can arrange your accommodation in the Uyuni town, your transfer to the Uyuni Airport and your flight tickets from Uyuni to La Paz.